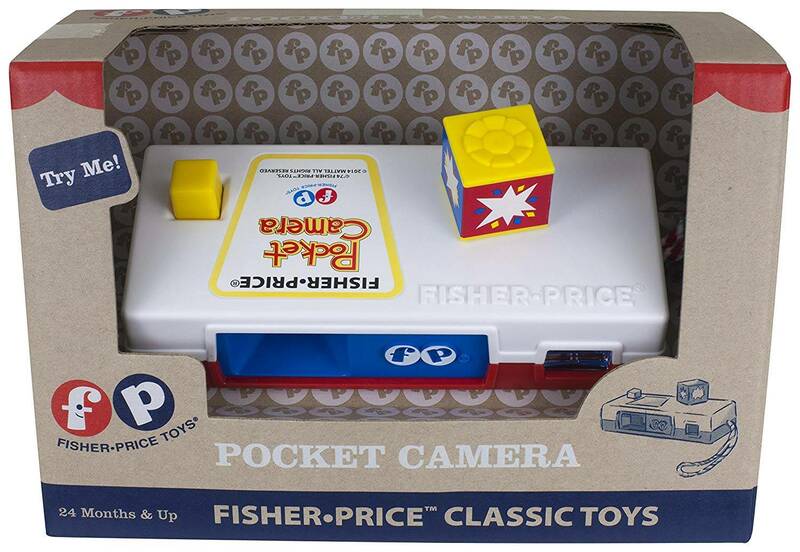 Fisher-Price’s camera was first introduced in 1974 and now it’s back. 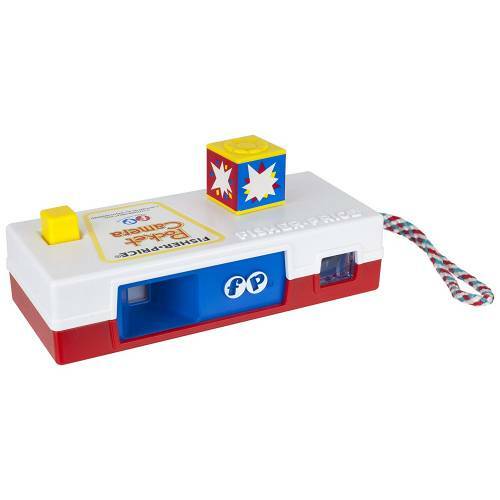 Simply click the ‘shutter’ and view the 27 images of a trip to the zoo through the viewfinder. 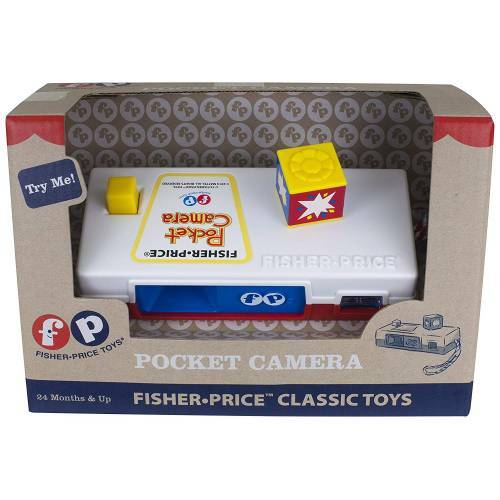 Press the camera's button to go to the next picture and make the flash cube turn automatically.